The purpose of this work is the replacement of a damaged fiber splice case. Two-factor authentication adds a second level of authentication to an account log-in. When you have to enter only your username and one password, that’s considered a single-factor authentication. 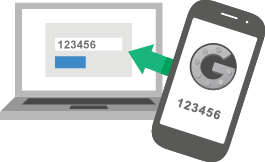 2FA requires the user to have two out of three types of credentials before being able to access an account using Google Authentication which can be downloaded to your mobile device. We have been providing SpamExperts to select customers for about 6 months with excellent results. SpamExperts is now available to all our clients on all servers. This product performs additional spam scrubbing with excellent results. This product is billed monthly at a very small fee and we are happy to provide you a trail period to see how it works for you! We have installed CloudLinux on all servers as well as CageFS. This fantastic OS allows us to set each user to a dedicated VM within the Dedicated Servers. This means that if one client is attacked, hacked, or abuses the resources on the server it will only affect their account and not the entire server. We have just completed a major server upgraded increasing the CPU and MEMORY by 200%. We hope this takes care of the occasional issues we had on Monday mornings. If you notice any problems on your site please let us know so we can confirm it was not due to these upgrades. We would like to welcome you to our new website to go along with our new hosting servers we have just completed upgrading to. These new servers and our new website will allow us to better communicate with our clients and you with yours. We have just completed the upgrade of the Support System to the newest version. If you notice any problems, please let us know. The support system and knowledge base can be found at http://support.mcws.net.